Gerald Smith, the son of a church minister, was born in Wisconsin in 1898. Ordanied in 1916, he was a minister of the Disciples of Christ, in Indiana. As a result of his wife's poor health, Smith and his family moved to Louisiana in 1928. Smith became minister at the Disciples of Christ Church in Shreveport. As well as his church services, Smith started a series of radio broadcasts in Louisiana. His support for trade unions and his attacks on local utility companies and business corruption upset his more conservative parishioners. Smith became a close friend of Huey Long and in 1932 they launched the Share Our Wealth Society. A scheme where the government would limit the income of all citizens through taxation. Long told the Senate in April 1932: "Unless we provide for redistribution of wealth in this country, the country is doomed." He added the nation faced a choice, it could limit large fortunes and provide a decent standard of life for its citizens, or it could wait for the inevitable revolution. Facing constant criticism from his parishioners, Smith resigned his ministery. Long now employed Smith to travel throughout the South to recruit members for the Share our Wealth Clubs. He claimed that he was bringing in 20,000 new recruits a day and announced that the Share Our Wealth Society had over 5 million members. Smith was a outstanding public speaker. H. L. Mencken described him as "the gustiest and goriest, loudest and lustiest, the deadliest and damndest orator ever heard on this or any other earth." After the assassination of Huey Long Smith took over the leadership of the Share Our Wealth Society but was soon ousted by the politicians in Louisiana. In 1936 Smith joined with Francis Townsend and Charles Coughlin to form the National Union of Social Justice. William Lepke was selected as the party's candidate in the 1936 presidential election but won only 882,479 votes compared to Franklin D. Roosevelt (27,751,597) and Alfred Landon (16,679,583). In 1940 Smith became associated with the America First Committee. It soon became the most powerful isolationist group in the United States. The AFC had four main principles: (1) The United States must build an impregnable defense for America; (2) No foreign power, nor group of powers, can successfully attack a prepared America; (3) American democracy can be preserved only by keeping out of the European War; (4) "Aid short of war" weakens national defense at home and threatens to involve America in war abroad. The AFC influenced public opinion through publications and speeches and within a year had over 800,000 members. However, the AFC was dissolved four days after the Japanese Air Force attacked Pearl Harbor on 7th December, 1941. 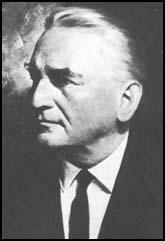 Smith refused to give up the struggle and formed the America First Party. He also published the magazine, The Cross and The Flag. In 1944 Smith was the party's presidential candidate. He received only 1,780 votes, mostly from Texas and Michigan, and the election was easily won by Franklin D. Roosevelt (25,602,504). 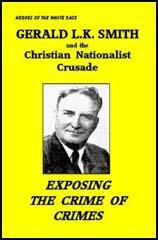 After the war Smith established the Christian Nationalist Party. The party did extremely badly in the 1948 residential election and Smith left the political scene. 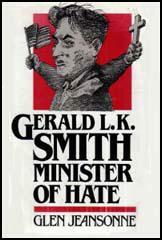 Gerald L. K. Smith died of pneumonia on 15th April, 1976. He is Louisiana's greatest humorist. He abstains from alcohol. He uses no tobacco. Huey Long is a superman. I actually believe that he can do as much in one day as any ten men I know. He keeps all of his campaign promises. We, who follow him, adore him and consider ourselves flattered when he asks our help. He never lies to us. He never uses the fall-guy method of protecting himself. He takes the blame for our mistakes.